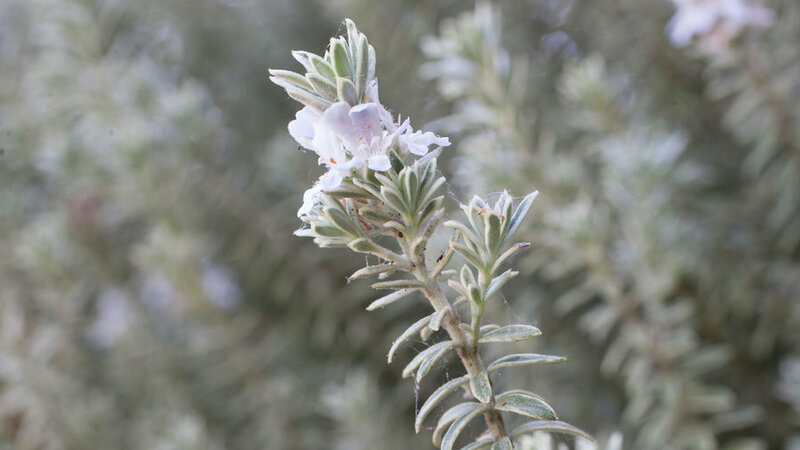 This low-water Australian native has small, delicate leaves and a mounding growth habit. It can be particularly pretty planted with cacti and succulents as the delicate foliage provides a nice contrast to bolder forms. The plant only needs occasional water once established. W. ‘Smokey’ is pictured. Plants range from low types used as groundcovers to small, stiffly upright shrubs to small trees with graceful, arching branches. Native to China, the Himalayas and Northern India, they are evergreen in most Western climates, with a few exceptions (including deciduous C. apiculatus and C. horizontalis). In spring, white or pink flowers cover the branches, resembling tiny single roses. 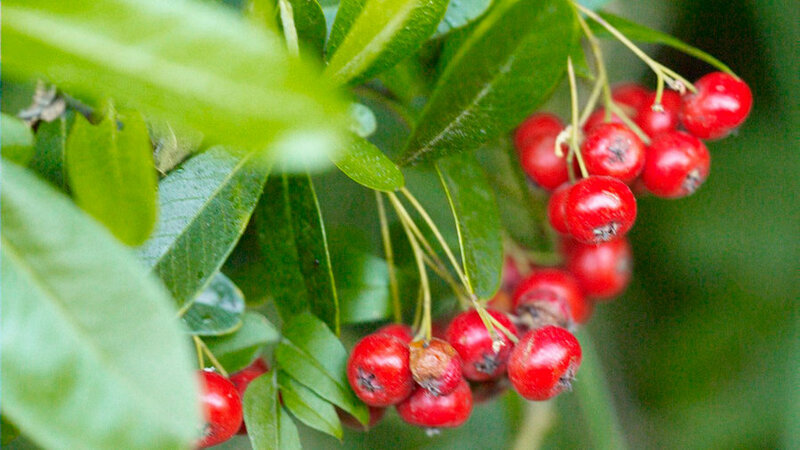 Berries follow the blossoms in fall and winter and provide a food source for wild birds. Some species can be invasive, spreading by seeds into wild areas. 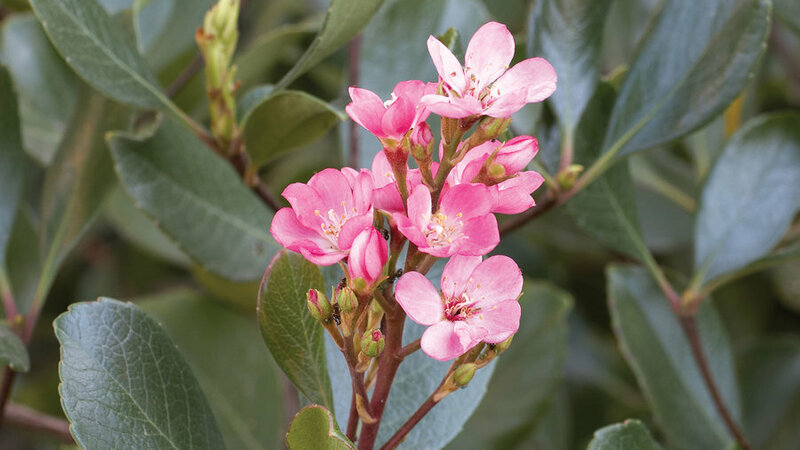 Evergreen varieties of this hard-working garden shrub (primarily E. japonicus) can be useful planted as screens and hedges or pruned into small trees. 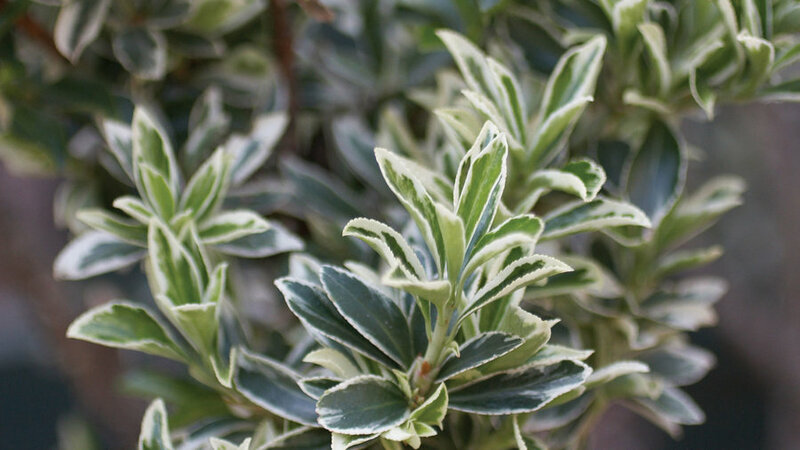 Tiny-leafed box-leaf euonymus (E. japonicus ‘Microphyllus’) is particularly prized for it’s more formal look and delicate green, variegated, or golden leaves. Plants are tolerant to heat and unfavorable soil, but can be susceptible to powdery mildew. Choose a spot in the garden with full sun and good air circulation. Most often used as a hedge, screen, or espalier, firethorns have glossy, dark green foliage and are evergreen in all but the coldest regions. Most species have twiggy thorns, giving them their common name. Bright red or orange clusters of fruit dangle from the branches from late summer to mid-fall, providing garden interest in autumn and a feast for wild birds. Their upright form and tough disposition make hop bush particularly useful as screens in areas with poor soil, ocean winds, or baking heat. 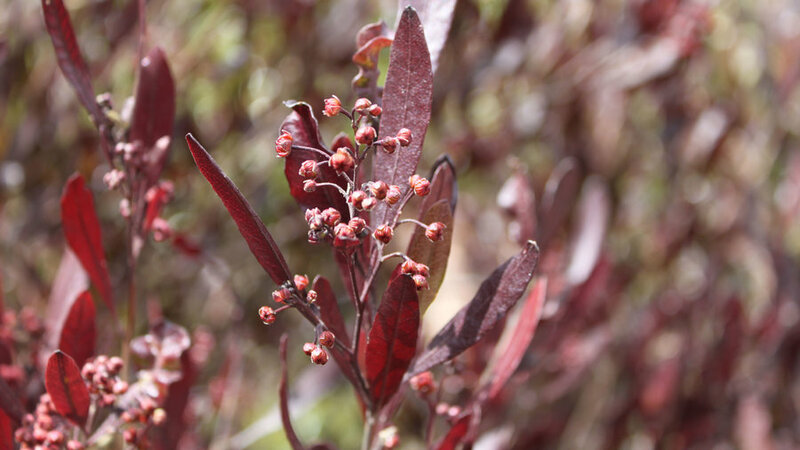 Foliage is finely divided and willow-like with leaves in either dark green or burgundy. 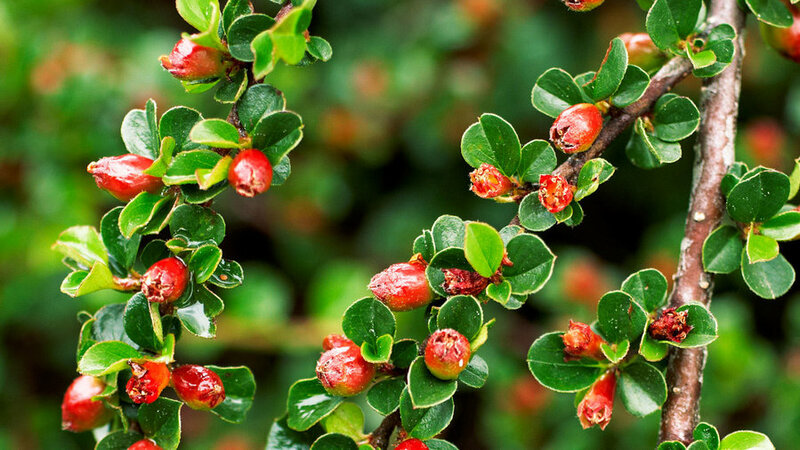 The fast-growing shrub reaches up to 15 tall and almost as wide if left unpruned. 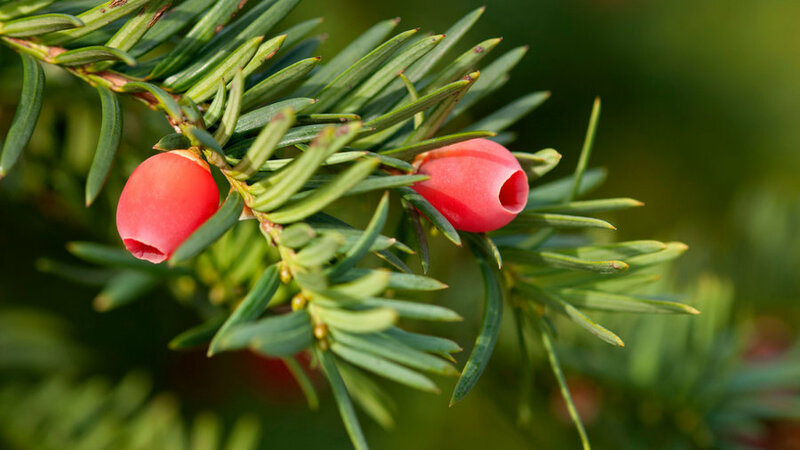 These conifers come in all sorts of sizes and forms from groundcovers, weeping and upright shrubs, and trees. Among the shrub-types, the upright columnar varieties and ones with weeping branches can be particularly picturesque garden as accents. Many require only moderate to low water and appreciate protection from baking sun in hot climates. Low-growing J. procumbens ‘Nana Compacta’ is pictured. 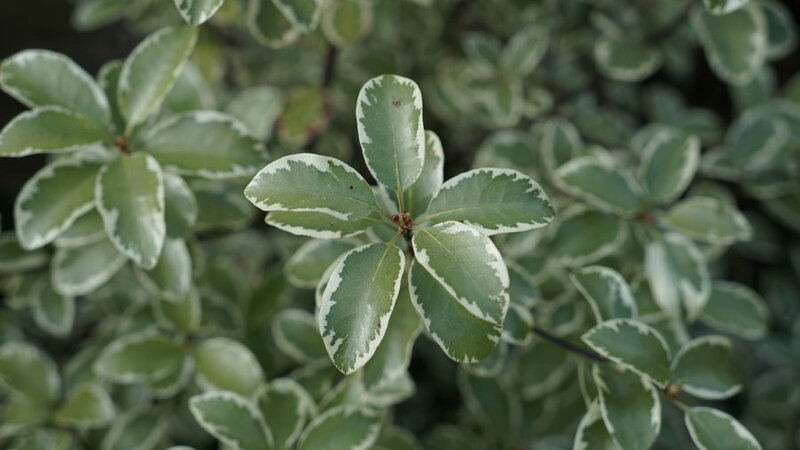 A useful evergreen plant in the garden, manzanitas have a range of growth habits from creeping groundcovers to tree-like shrubs. Many are native to California and well adapted to low water and dry summers. All need good drainage to thrive. 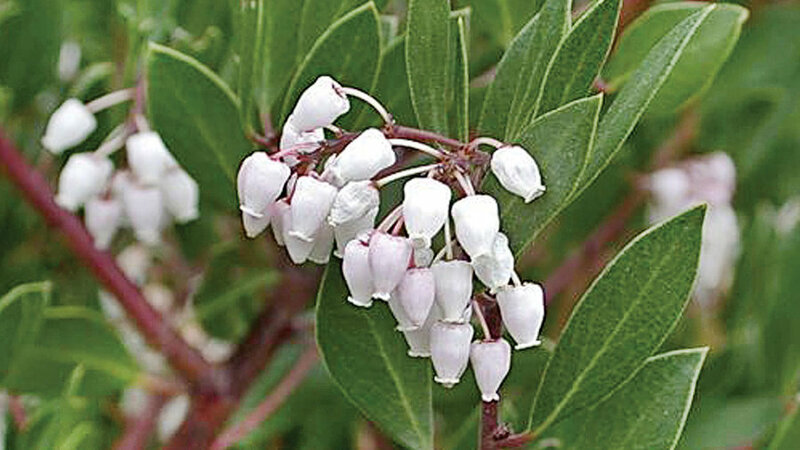 In late winter and early spring, pale pink or white flowers form, followed by red or brown fruits that appeal to birds. A. densiflorus ‘Howard McMinn’ is pictured. This Mediterranean shrub can be useful in the garden as an informal screen, specimen shrub, or sheared into a formal hedge. Many reach 5–6 ft. tall and 4–5 ft. wide (as much as 15 ft. by 20 ft. in old age), but can be pruned to keep compact. 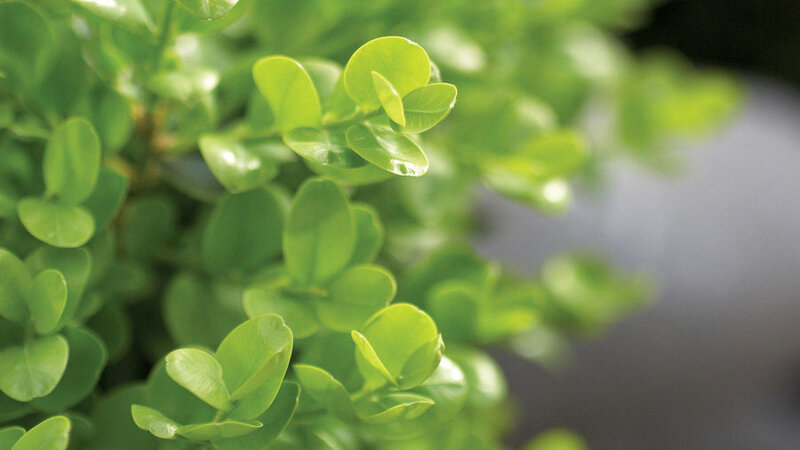 The glossy, bright green leaves are pleasantly aromatic when brushed against. White, sweet-scented flowers with many stamens bloom in summer, followed by bluish-black berries. The plants are tolerant of many soil types but require good drainage. The graceful leaves of these Mediterranean natives are dark green, leathery, and semi-glossy and look good year round. Plant as an informal hedge or screen in regions with hot, dry summers. Once established, plants need little water to survive. The plants are moderate to fast growers and can reach 3–20 ft. tall and 4–12 ft. wide, depending on variety. Prune to control growth and wash thoroughly after handling the plant—all parts are toxic. 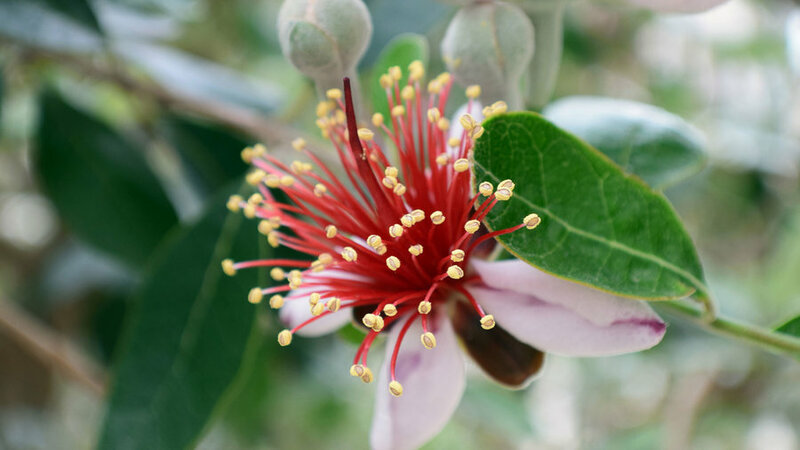 This South American native is valuable in the garden for its attractive grey-green foliage, pretty white blossoms in spring, and tasty fruit. Grow as a hedge or selectively prune to show off the interesting branch structure. 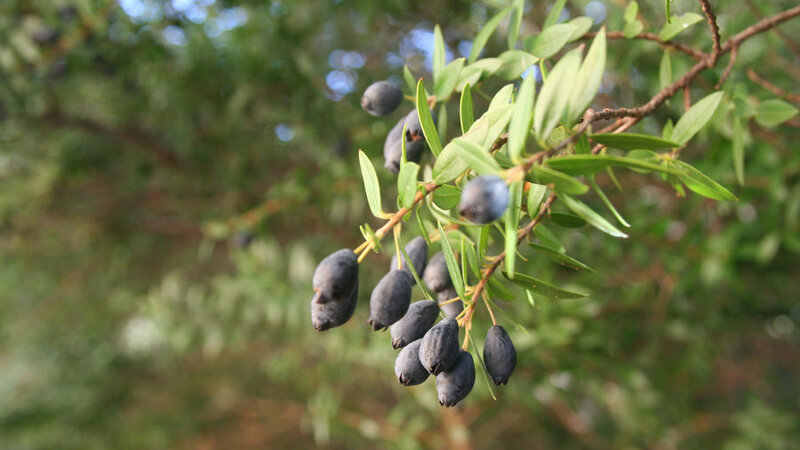 The plant is drought tolerant but will produce a better fruit crop if given more regular water. 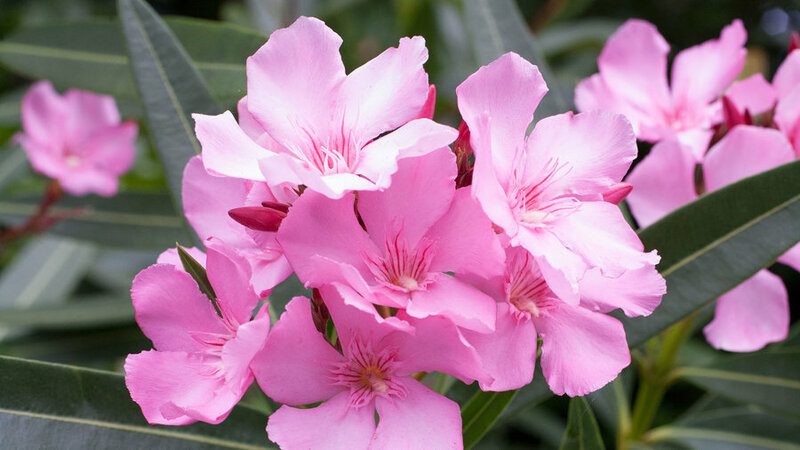 These handsome, glossy-leafed shrubs vary in size from low, mounding types to small trees. All respond well to pruning. Use in the garden as foundation plants, clipped hedges, screens, and specimen plants. Water needs vary among varieties, but many take only moderate water once established. P. tobira ‘Wheeler’s Dwarf’ is particularly choice variety for a foreground plant as it only reaches 2-3 feet tall and 4-5 feet wide. P. eugenioides, P. tenufolium ‘Silver Sheen’, and P. undulatum have more upright forms that work well for screens and hedges. These dense, compact shrubs have glossy leaves that looks good year round with low to moderate water. In late fall to late spring, they produce profuse white to nearly red flowers. Dark blue fruit follows but isn’t especially showy. Most varieties are low growers and taller ones rarely reach over 5 to 6 feet. In hot summer regions, plants can burn with radiant heat; plant in part shade. In all other areas, plant in full sun. 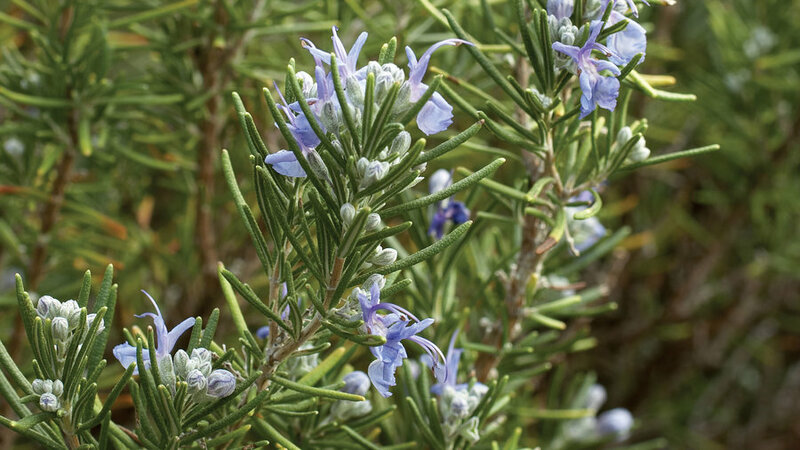 These prized, aromatic Mediterranean natives are frequently planted in Western gardens. All varieties of R. officinalis are edible and can be used to season grilled meats and roasted potatoes. Upright varieties (such as R. ‘Tuscan Blue’, shown) work particularly well as edging for herb gardens. The fine-leafed dark foliage is attractive in all seasons and looks lush with little to moderate water. Plant in full sun in an area with quick drainage. Yews need more water than most plants on this list, but can tolerate low to moderate water once established. The plants make excellent clipped formal hedges and will sprout new growth from bare wood. 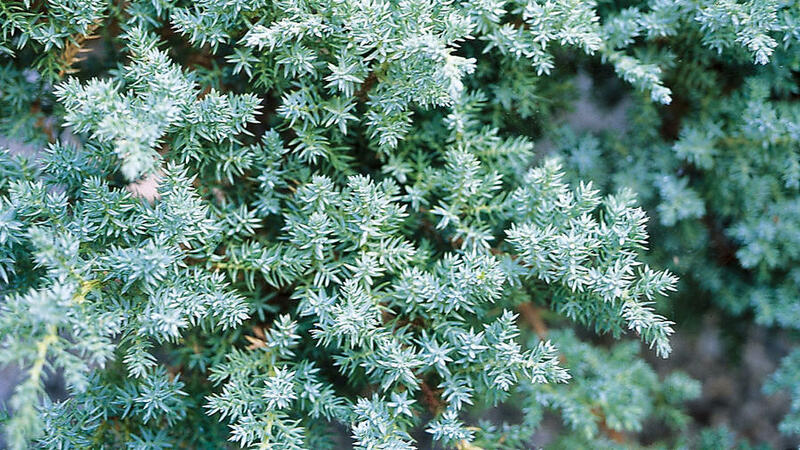 Dense, deep green, needle-like foliage is evergreen year-round, even in cold climates. The plants are generally slow growing and long lived. While tolerant of a variety of light exposures from full sun to shade, yews do not tolerate strongly alkaline or strongly acidic soils. Female plants produce attractive red berries.